This year’s build season has ended, but that doesn’t mean that the Robotics team is no longer working. The team still will meet weekly on Mondays and Wednesdays until 6:00 pm, and on Saturdays between 12:00-6:00 pm. The Robotics team bagged the competition robot Tuesday night, Feb 19, which will not be unbagged until the Monterey regional. After 6 weeks of hard work it was clear that the team deserved a celebration. Thankfully team member Zeke, agreed to host a party at his house, and it was a huge success. 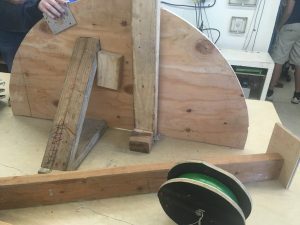 DRIVETRAIN- has been helping Mechanics and has been creating stage pieces that will be used for when they practice driving the robot. 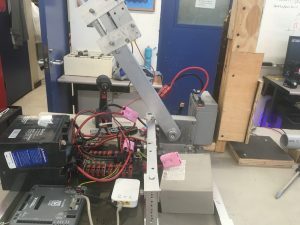 PROGRAMMING/ELECTRONICS- has continued to work on the code for the FRC robot, as well as constructing an electronics board and more connectors. 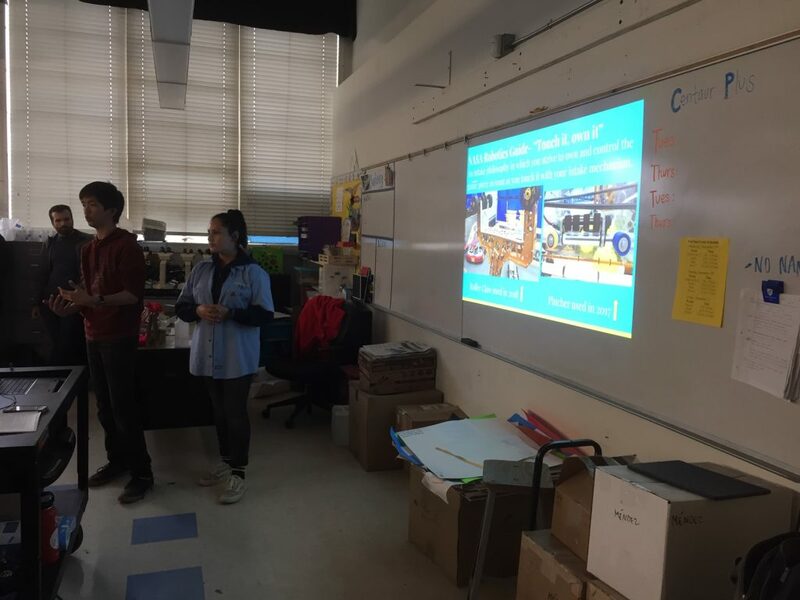 Thursday Feb 28th Avi, Joseph and Phil attended Farragut Science Fair, demonstrating last year’s robot to elementary school kids and parents. Recently the CAD subteam has been designing a new table. The current set up is three desks placed side by side, which is not ideal. With this new L-shaped table design, the team hopes to provide more leg room for students working with the computers. It will also provide adaptable space for all computers along with the team’s new printer. 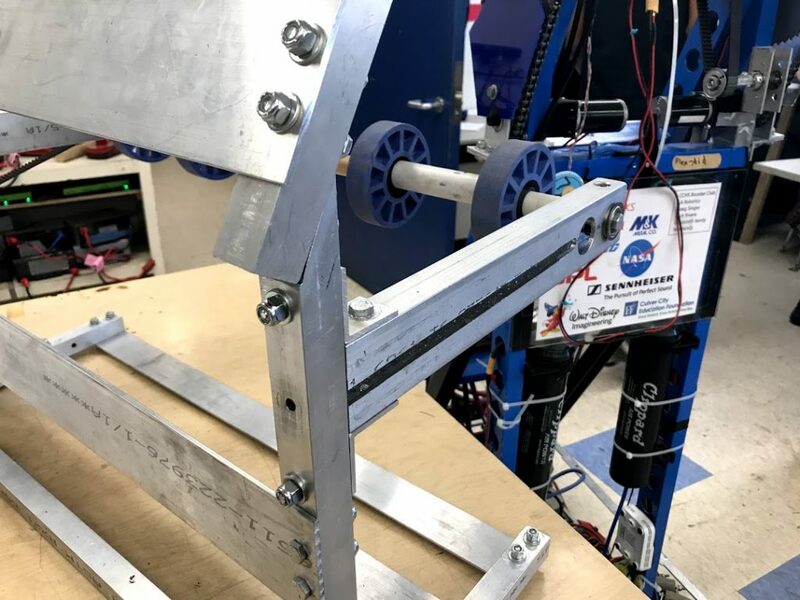 The design started with CAD drawings that had accurate measurements and detailed drawings of all components, progressed to design reviews and modifications, and the team ultimately started construction. Right now the table is nearly complete, with final assembly and a laminate top to be completed before Kickoff. Both the CAD and Programming subteams are eager to see this table completed. The official team shirt is here! This week the team received the new shirts for the year. For $40 team members can purchase a customized mechanics shirt. This allows the team to look professional and unified when attending competitions. If the price of the shirt is a concern, talk to either Dr. Stout or one of the team captains to figure something out. Hooray! New shirts! 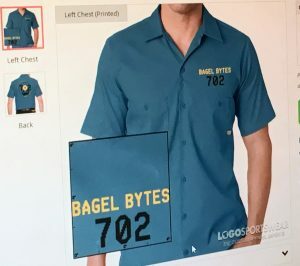 This week was the first week the new members became official Bagel Bytes. Congratulations everyone! The members were divided into their respective subteams and began subteam specific workshops. Programming discussed different types of loops and variables used in code. 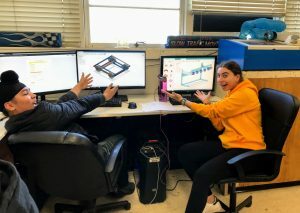 CAD members worked together to grasp a better understanding of their software, helped the Mechanics subteam plan out their practice robot, and starting printing out various items with the new 3D printer. Mechanics began building their first practice robot. Drive Train has been helping with the table project as well as making new stools for the room. Publicity worked on raising money for this upcoming build season and competitions. The Mechanics subteam is creating a new demonstration robot to replace the disassembled frisbee shooter. This new robot design launches wiffle balls, and is built for young kids to play with at elementary school science fairs. The team also has plans to build a ball collector and add an aiming device. 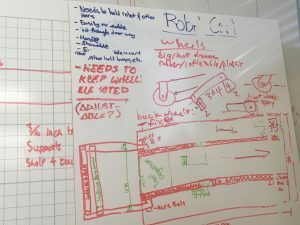 Recently the team has created a prototype and is now starting to critique/change minor mistakes. As the preseason ends, the new build season begins! The team will kick off build season with a team launch party. Here both students and parents are invited to the robotics room to learn about the future build season and start work on our robot. 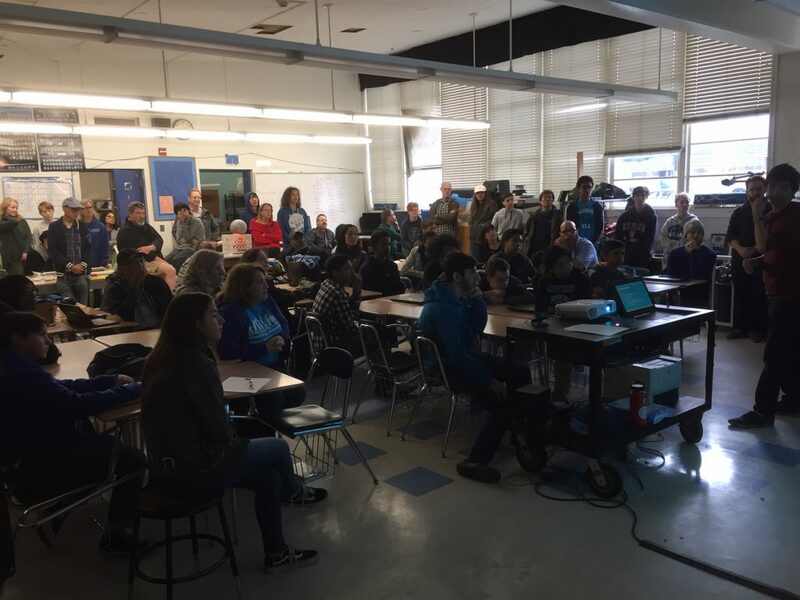 They will learn about the task the team’s robot will be expected to perform, what each subteam is responsible for, as well as what is to be expected from both the students and their parents. The launch party is a potluck so please bring something to share and come hungry, there will be plenty of delicious food. Parents, please respond on SignUpGenius about the potluck and team dinners. The launch party will take place towards the end of winter break on Saturday January 5 @ 1:00 PM – Don’t be late! 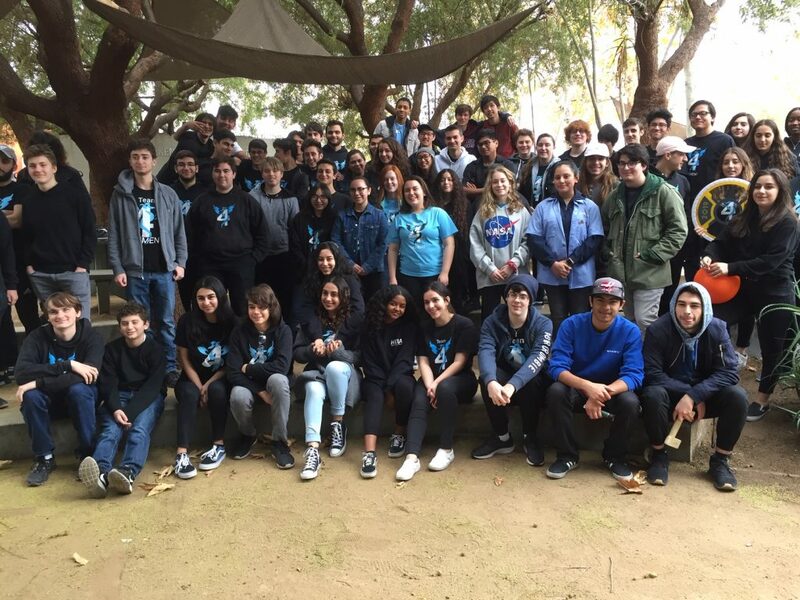 For the past several weeks, the team has been working on a project for the JPL foundation. The task is seemingly simple, to lift a pipe so that it stands upright. Although it appears simple, our students have to carefully program and design their devices, so that they may be effective. Students from both the MESA and robotics clubs have organized themselves into three teams of nine people. 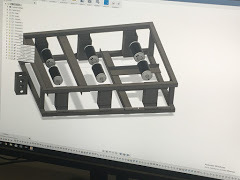 The students were able to plan out their designs using the available CAD software, and managed to create a multitude of functional and creative designs.Some relied on physics, others on pure mechanisms, making the various devices a site to behold. 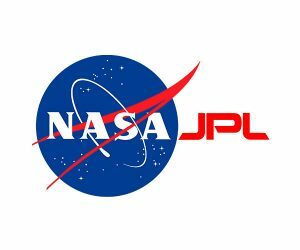 The JPL project provides students with a way to exercise their skills, and work together on a project with others, to get a sense of what it would be like to practice their skills at a professional level. 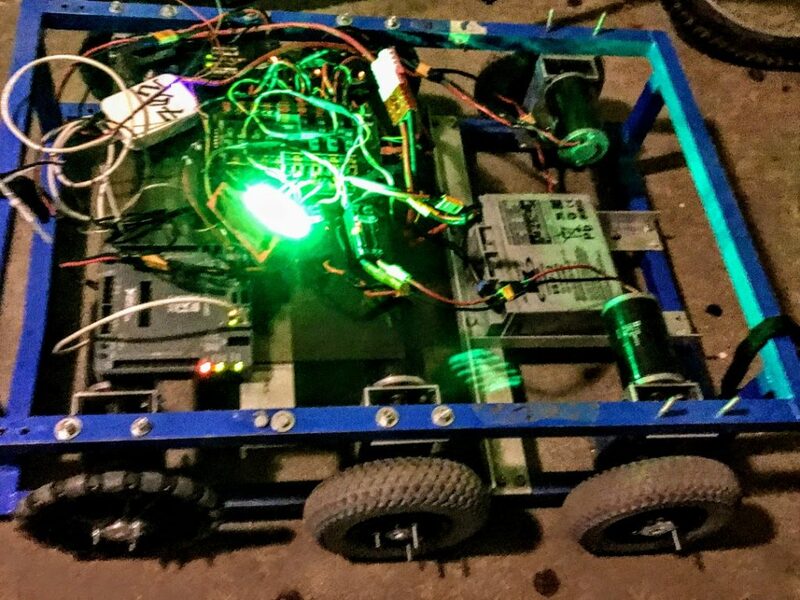 Requiring the skills of members of each sub-teams such as mechanics, programming, CAD, and drive team, these devices embody what it means to be a team player, and are a great way for students to get to know their teammates and to polish their skills. 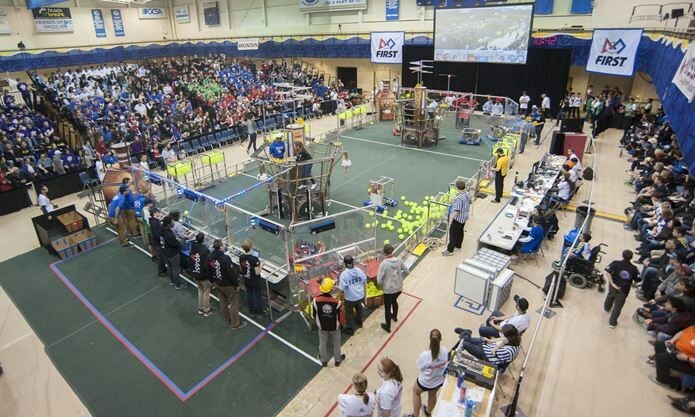 This competition ended recently and we are very proud of the hard work of both the MESA and our robotics students. Aside from the JPL projects, other members of the team have also been working on some side preseason projects. Through these projects, both the new and returning members are given a chance to interact with one another and get to know their teammates. 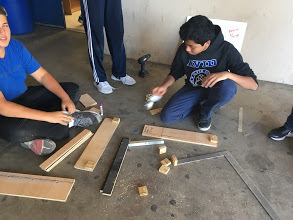 In addition, the new members have the opportunity to become exposed to work tools that the team will be working with throughout the season, brainstorm design ideas, familiarize themselves with the workload that will be upon them during build season, and the most important part, have fun! Shown above is the progress of the phone charging station. The members have first researched and brainstormed ideas and then finally began the design process through CAD. Afterwards, they slowly began the construction, which as you can see has been coming along nicely. 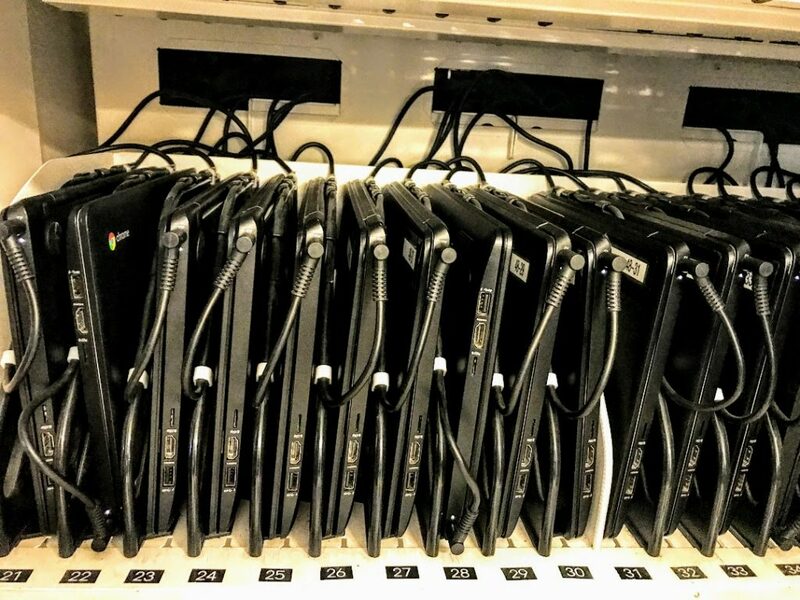 The team is hoping to use to charger station to hold the charging phones when we are staying late nights and so that they will be able to communicate with their parents. 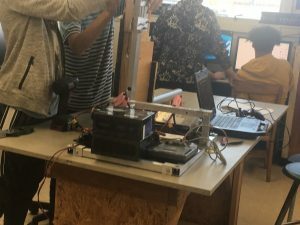 Currently the robotics team has access to 3 computers, all of which are place on 3 separate desk tables. 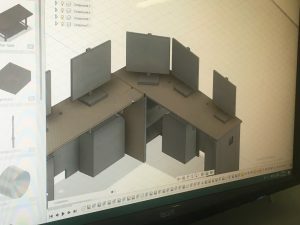 Since these desk were not built to accommodate 4 computers, with their routers, keyboards, and the multiple bodies of students, it was obvious that the setup needed to be changed. So the CAD team decided to take charge, and designed a new table more suited for the task. The sub team divided into groups, filled with both new and returning members, and each designed a new table to replace the old one. Additionally, the students were given a strict deadline, similar to one in the real world in that it simply could not be pushed back. 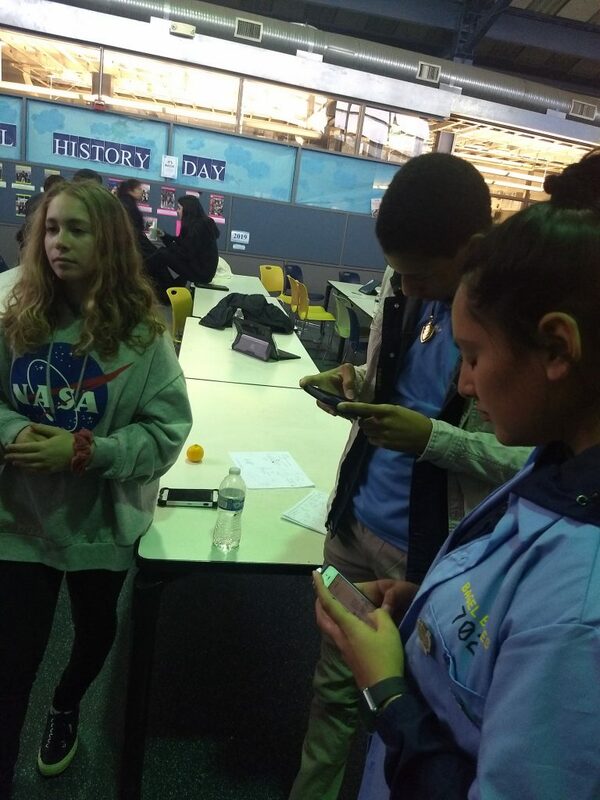 Thus, the team members had to practice time management and teamwork skills in order to complete their table designs on time, and be ready to present. Presentations were given from each of the teams, and they were expected to list the aspects of their design that made it unique, as well as functional. They were also asked to share the faults in their design as well as the amount of material it would take to built it. Then, they were all given feedback from an experience returning member, and sent to adjust their design in hopes of lessening the faults. Once again, they presented their designs, and a winner was chosen! The chosen table design included means of support, allowed for suitable amounts of leg room, and most importantly provided room for all the computers. Although the team was announced as the winners, their design was not perfect, as most things never are. Consequently the winning team was sent back again to tweak their design. 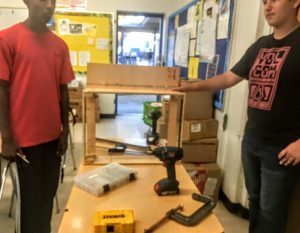 Once finished, all the students involved in the project began to gather the materials for the table, which is currently being built. 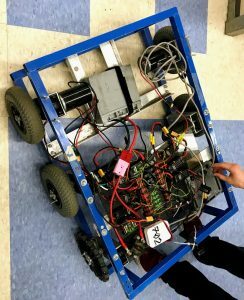 Another project the team is working on is the creation of a new cart to place the batteries of the robot. The previous cart was too wide and hardly able to move through a doorway. Hence, the team is seeking to create a new one, so that the transportation of the batteries is more efficient. New students were tasked with creating the new design, carefully measuring the old cart and adjusting it to be more mobile. 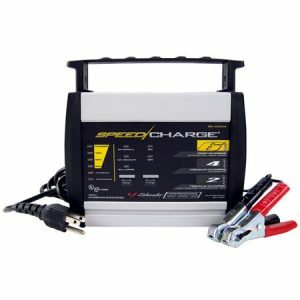 Since the batteries are rather large and heavy, the cart needs to have a great deal of support, and the students need to keep the weight of all the tools which are also going to be place on the cart as well. With the help of returning members, they have already come up with a complete design and putting the final touches on the measurements. 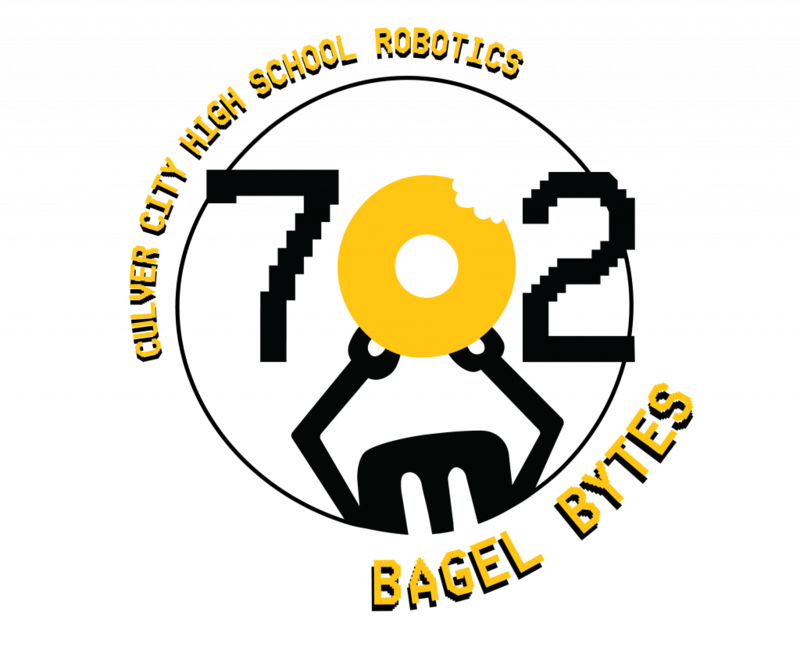 This year, the robotics team is looking to purchase new team shirts and hoodies in anticipation of the two competition we will be attending. Looking to buy mechanics shirts, and possibly hoodies, these items will make the team look more professional when going to competitions, as well as make the team distinguishable in the sea of other teams. However, these mechanics shirts are anything but cheap, and with so many new members the price to buy them is sure to be high. Although the mechanics shirts are rather expensive, they are going to be customized, with the team name and logo on the front and back. Aside from the mechanics shirts, the team is planning to also buy several hoodies for the team, so when it gets colder the team will still appear unified. 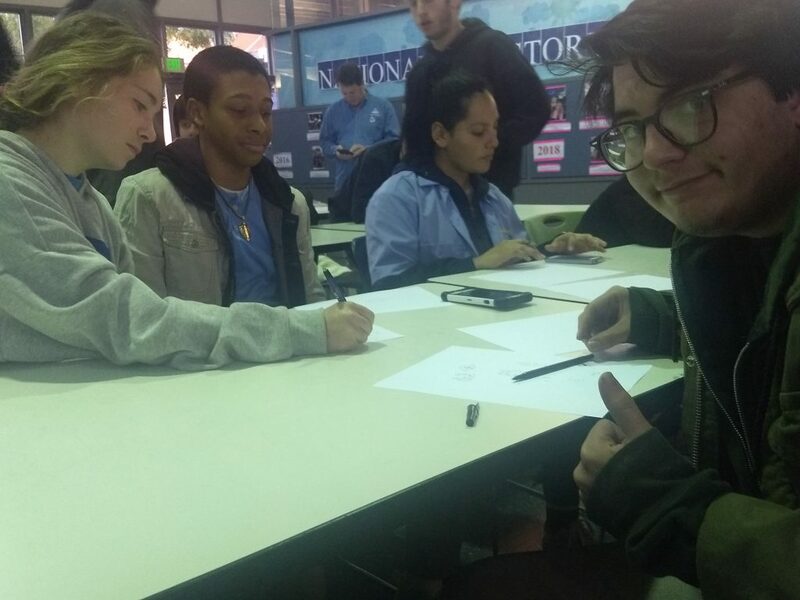 Since in previous years, students had to cover their team shirts due to the freezing cold competition spaces,making the team look less professional. In order to prevent this from occurring this year, students will be asked to wear their team gear on the outside layer of their clothing, either as a shirt or hoodie.